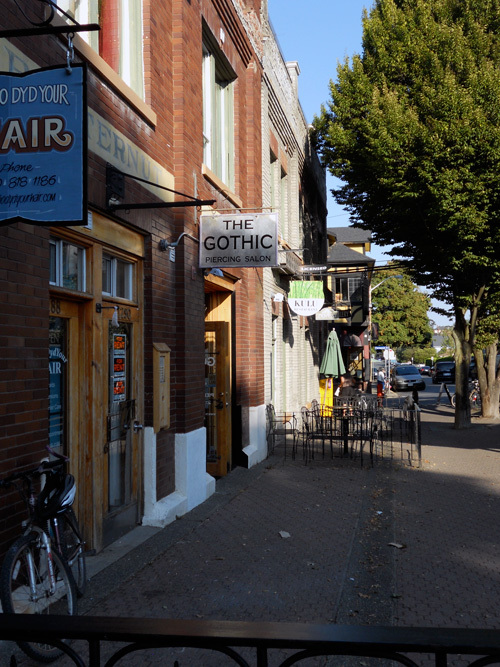 The Fernwood neighbourhood is just on the outskirts of downtown Victoria. I had a work errand to run to the hospital so we decided to make it our walk outing for the day. 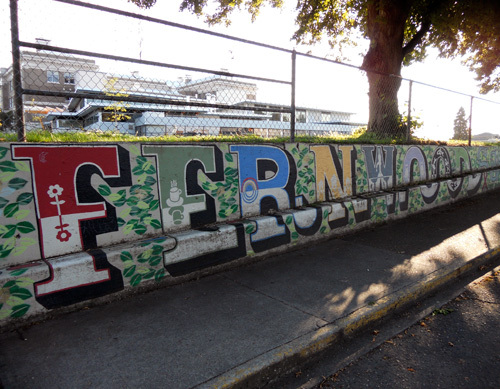 Fernwood is an eclectic mix of homes with every decade represented from the last 120 years. 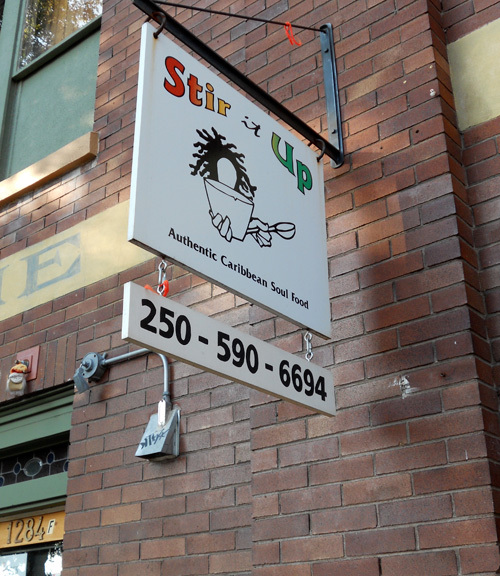 The small Fernwood Square shopping area includes interesting shops and services as well as a variety of dining experiences from take out Caribbean fare to a pub to a wine bar. 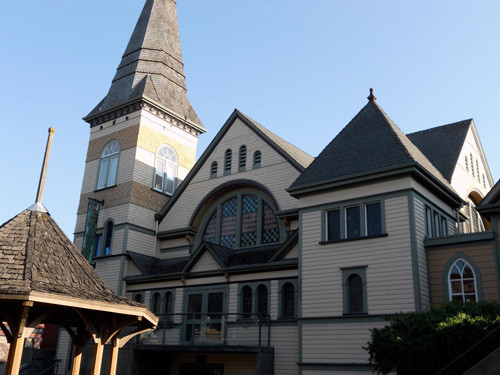 The beautiful Belfry Theatre is located here as well. This is a neighbourhood with a real feel of community. We sat out side and shared a stuffed Roti from Stir It Up and watched the evening bike commuters returning home and the sidewalk tables in front of the Cornerstone Cafe full. A beautifully painted concrete fence with a glimpse of the new addition to Vic High in the background. Almost all the electric polls are painted from the ground to about 6 feet up. 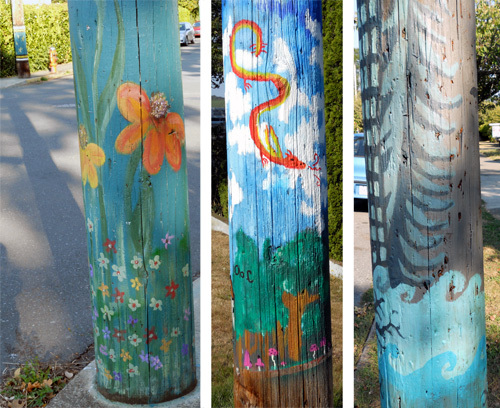 Each is different and they add to the colour of the neighbourhood! 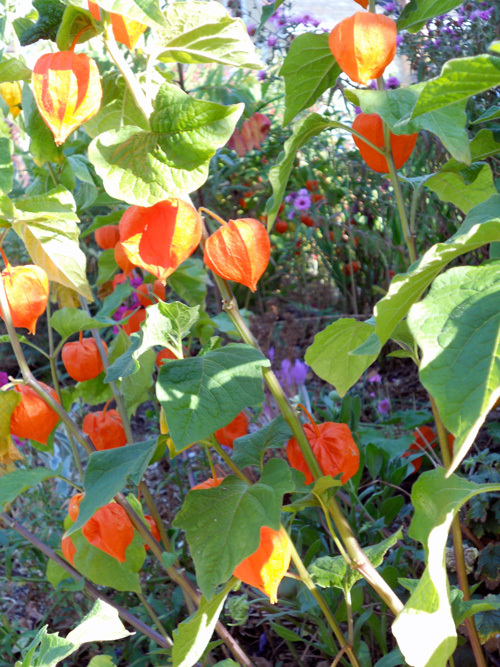 In a lovely garden along the walk. Our stuffed roti was amazing! Some of the shops across from The Belfry.